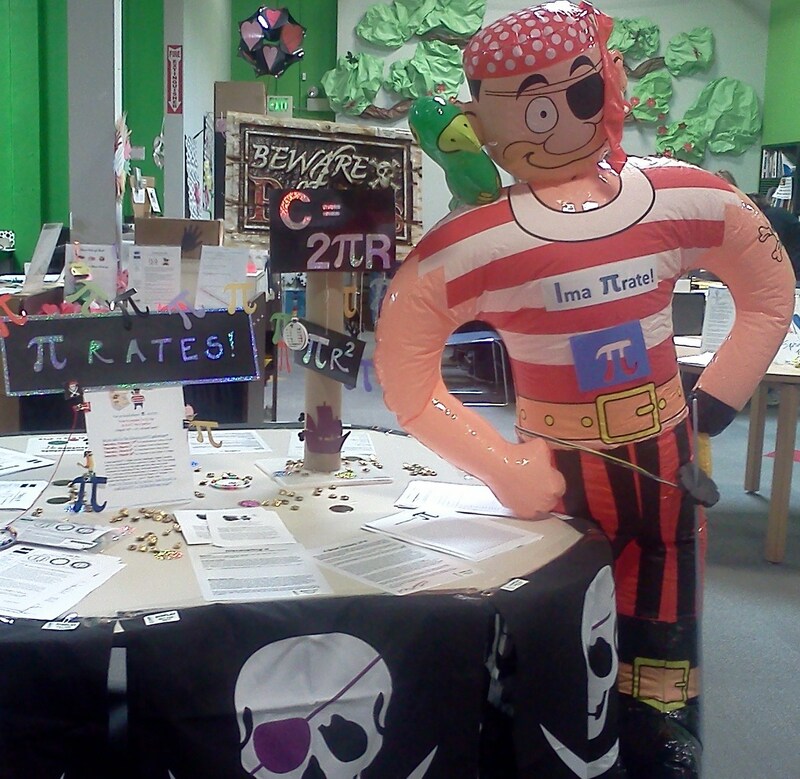 Come meet RAFT’s Math Activity Developer, Jeanne Lazzarini, at RAFT San Jose who has a treasure chest of Pi-Day activities to share! Not only will she be dressed as a Pirate (because Pi rates! ), she’ll also offer you delicious pie to eat while showing you great Pi-Day Math activities to make and take, to use in your classroom to celebrate Pi day! The Pi-Day activities include RAFT Math Idea Sheet activities like Finding Pi, Wearable Pi and Pi Day Pin. Irrational number Pi, also written as π, is the ratio of the circumference of a circle to its diameter, and is celebrated all over the world on March 14th because π is a number that begins as 3.14! With the use of computers, Pi has been calculated trillions of digits past the decimal point! Pi is an irrational and transcendental number, and its digits continue infinitely without any repeating patterns of digits! Pi has been used in many applications for over 4000 years! π rate activity days at RAFT! Join us at RAFT, San Jose in celebrating (π) day on these π rate focused days…and all the events are free! Make Math a fun and interesting subject for your students with our bounty of hands on activities that align with the state standards. Download more than 240 Math Idea Sheets here. 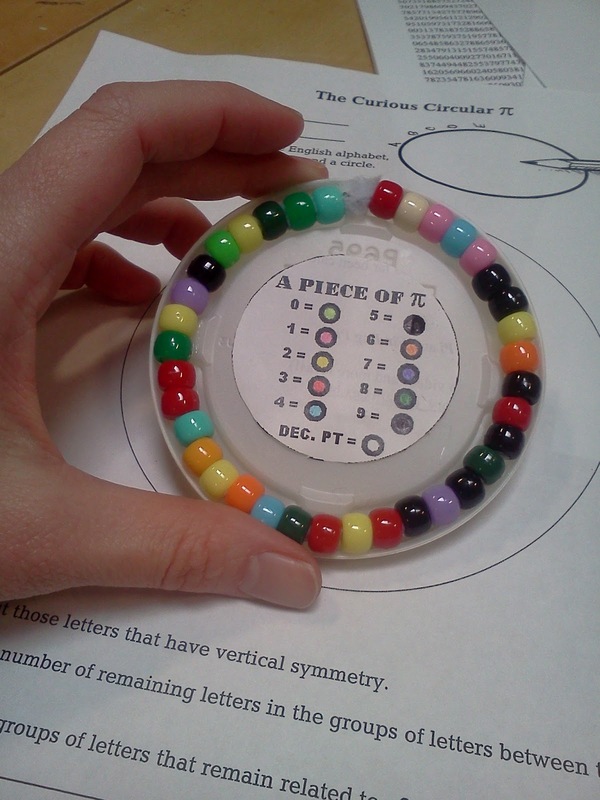 Do you have a π rate activity idea you would like to share with us? Click here to send us an email or add your comments below! Go to www.raft.729solutions.com for more information.